Why is ARC in China? Welcome to the Inside Track with ARC. The Auto Research Center is a specialized research facility serving the motorsport, automotive production, commercial, government and bicycle industries. The ARC global headquarters is located in Indianapolis, Indiana which hosts a 50% scale wind tunnel, 7-post, drivetrain test rig, bicycle test facility and CFD cluster center. ARC offers a wide range of solution type packages to further speed and efficiency. Preparations for the 2017 Indycar season are in full swing and all of ARC's test facilities are filling fast. Finding the last bits of speed from the current car is still critical to reaching the top of the time sheets. 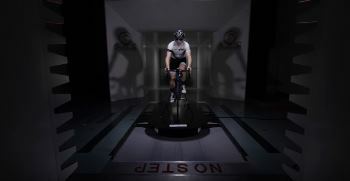 ARC is offering package programs for using all of the ARC facilities, the scale model wind tunnel, 7-post and drivetrain dyno. The advantage of ARC is that all testing can be done at a single facility and even on the same day to reduce down time in the shop and to lower travel costs. In addition, ARC aerodynamicists and vehicle dynamic experts can help analyze data. Signup today, before the schedule fills up. To learn more about ARC's offerings for the Motorsports Industry, visit the ARC website, call 317-291-8600 or email at sales@arcindy.com. 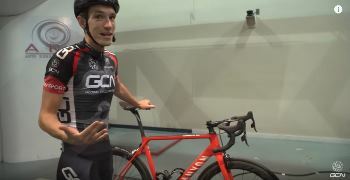 The Global Cycling Network and Zipp Speed Weaponry shot a series of videos at the ARC Aerodynamic Bike Testing Facility. Take a quick break and have a watch. Retro Vs Modern - How Much Faster Are Modern Wheels? To learn more about ARC's offerings for the Cyling Industry, visit the ARC website, call 317-291-8600 or email at sales@arcindy.com.. Multiple European countries are discussing the banning of internal combustion engines, most notability Germany, who wants to do it by 2030. These new regulations have caused auto makers to commit to spending large sums of money on technologies still in development phrase. Ten to fifteen years sounds like a long time, but after over 100 years with internal combustions engines, it will be a challenge to meet the deadlines without substantially raising car costs to the consumer. The transition to no internal combustion engines will be abrupt, not only for engine technology, but also for drivetrains. ARC's drivetrain dyno already allows hybrid testing development and ARC is looking at increasing its technology investment to help auto makers with this new challenge. Through its drivetrain technology and also lithium ion battery testing. Stay tuned for new ARC testing technology. To learn more about ARC's offerings for the Production Vehicle Industry, visit the ARC website, call 317-291-8600 or email at sales@arcindy.com.. The GHG2 specifications are out and ARC has been working with the EPA to find ways to minimize the cost for you to reach the targets by 2021 by using scale model wind tunnel testing. The new targets require fuel economy improvements of up to 25%, which will require ligher weight materials and more aerodynamic designs. In order to help our customers comply with the new GHG2 regulations, ARC will amend our current test procedure to include the data that will be required for approval after January 1st, 2021. Becoming effective December 27, 2016, two new points will be added to the ARC wind tunnel test matrix, -4.5 and +4.5 degrees of yaw. In addition, the results data will also include a CdA (coefficient of drag multiplied by frontal area) value. This extra test information will allow you to comply with GHG2 by 2021. Get into the fast lane to get your company approved for GHG2. If you have tested with us in the past for Smartway verification call us to find out how that data can be used to apply for GHG2 approval. To learn more about ARC's offerings for the Commercial Industry, visit the ARC website, call 317-291-8600 or email at sales@arcindy.com. Can you test wind turbines at ARC? Yes, using a combination of CFD and wind tunnel testing, wind turbines fit right into the ARC knowledge base. For CFD, the key is using AMI, a meshing technology that uses automatic morphing and allows for rotation to be correctly simulated and generate realistic results. The post processing results from CFD, both numerical and flow images, allows for wind tunnel testing to be more efficient. ARC honed its resources to automatically log data from the wind tunnel into custom coded databases to create power curves. These curves are used by the wind turbine industry to determine the operating points at different wind speeds and help to arrive at an optimal wind turbine for real world usage. TECH ZONE is an additional area of our newsletter where each month a customer question will be answered by the related expert at ARC. Please send in any questions you might have, from wind tunnel test instrumentation, CFD workings, to tuning your shocks.